Some data are collected when you provide it to us. This usually happens when you book a room on our website (via our online booking calendar) or make a request to us (by email). Other data are collected automatically by our IT systems when you visit the website. These data are primarily technical data such as the browser and operating system you are using or when you accessed the page. These data are collected automatically as soon as you enter our website. The basis for data processing is Art. 6 (1) (b) DSGVO, which allows the processing of data to fulfill a contract or for measures preliminary to a contract. Processing of data (customer and contract data) We collect, process, and use personal data only insofar as it is necessary to establish, or modify legal relationships with us (master data). This is done based on Art. 6 (1) (b) DSGVO, which allows the processing of data to fulfill a contract or for measures preliminary to a contract. We collect, process and use your personal data when accessing our website (usage data) only to the extent required to enable you to access our service or to bill you for the same. We transmit personally identifiable data to third parties only to the extent required to fulfill the terms of your contract with us, for example, when you book a room on our website. If you make an online booking on our website, is this done through the online reservation system OnePageBooking of the company HotelNetSolutions GmbH, Genthiner Str. 8, 10785 Berlin, Tel. 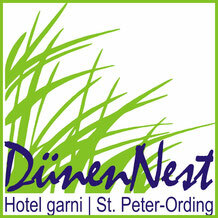 +49 (0) 30 - 770 193 000, Fax +49 (0 ) 30 - 770 193 050, E-Mail: info@hotelnetsolutions.de, Internet: www.hotelnetsolutions.de. Your personal data will be stored on the server of HotelNetSolutions GmbH under a booking number and can be viewed again at any time in a protected customer area accessible only to us as a hotel. All booking data entered by you will be encrypted and deleted 14 days after your departure. There are no social network plug-ins integrated on our pages.